In 2019, the city of Havana will turn 500 years old. Despite its age, Havana is every bit as vibrant as it was in its youth. 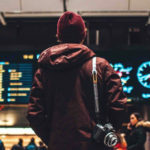 It is currently in the throes of an economic revival, attracting visitors from around the world. To help you enjoy the light, passion, and brilliance of Havana, we offer this helpful guide to the city’s most popular attractions and secret delights. 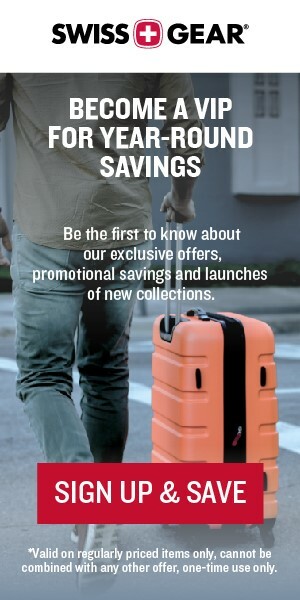 After landing at José Martí International Airport (HAV) and breezing through the customs with your Swissgear 12970 Protector Collection Carry-On by your side, choose a hotel in Old Havana (Habana Vieja). 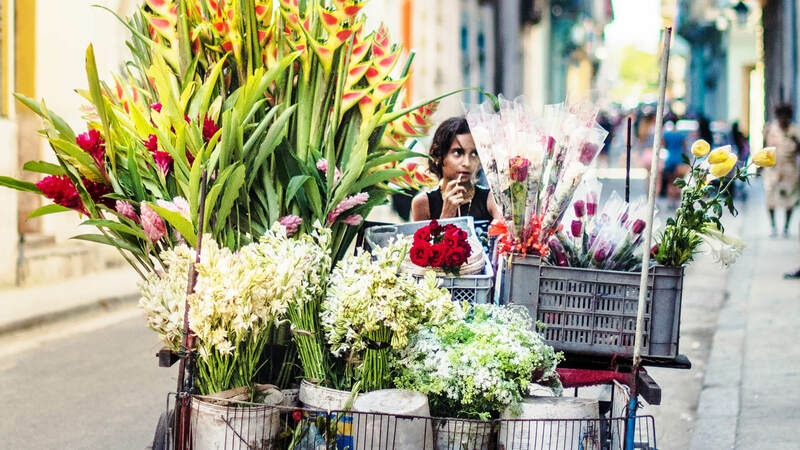 This neighborhood, known for its colourful façades and crowded slim streets, is the heart of the city. Begin with a stroll down the Malecón, a walkway along the ocean where residents and tourists alike enjoy the crashing waves and spectacular coastal view. Next, stop at Castillo del Morro, a fortress built into a rock that juts out into the sea. 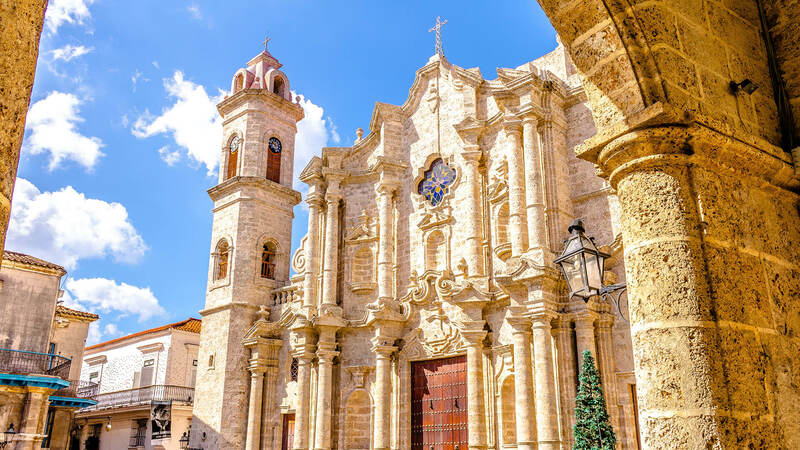 Finally, visit the Catedral San Cristóbal, one of the most popular attractions in Old Havana. Inside you’ll find an impressive collection of 17th-century art, including the wooden statue of Saint Christopher. If you pay close attention, you’ll notice the statue has shortened legs. They had to be cut to fit the statue into its alcove, creating an intriguing, somewhat off-putting, sight. 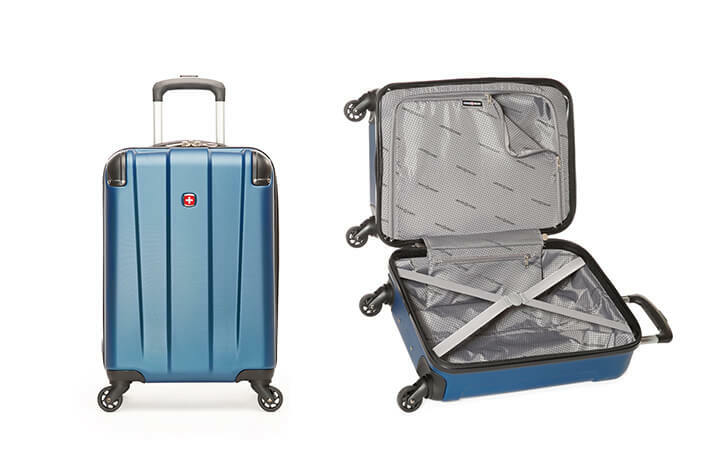 Travel well for many years to come with this sleek and durable SWISSGEAR Protector Collection Carry-On Hardside Luggage. Once you’re finished exploring the monuments, refresh at your hotel. 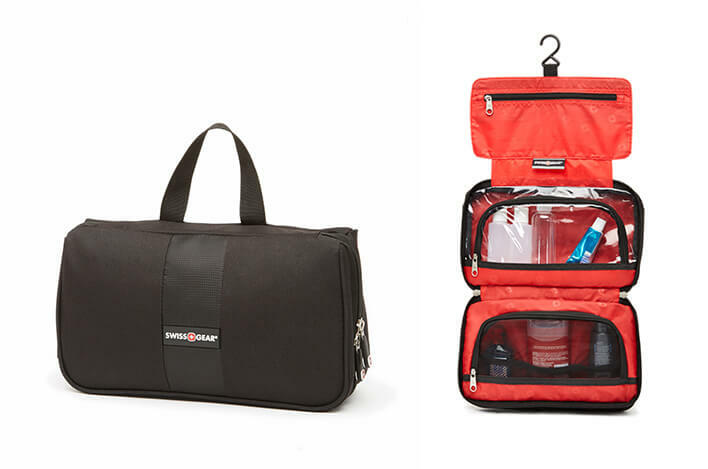 If you’ve used the Swissgear 0579 Hanging Toiletry Kit to keep your essentials organized, this powder room pit stop should take no time at all. Havana is such a pleasure to explore that you won’t want to waste a minute rummaging around for your toothpaste. Head outdoors to experience the intoxicating coastal heat, or dip into the ocean with a scuba diving tour of Cuba’s coral reef. Go a little further out to sea to swim with the sharks. 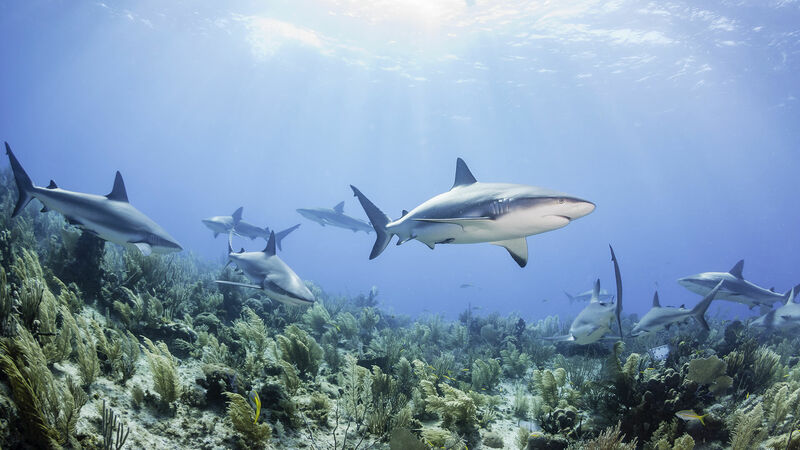 A fifth of the world’s shark species can be found in the oceans around Cuba. Made of durable 600 Denier Polytex fabric, the folding SWISSGEAR 0579 Hanging Toiletry Bag features a large zip-around flap opening with a clever hanging hook that keeps the flap open and the contents readily available. 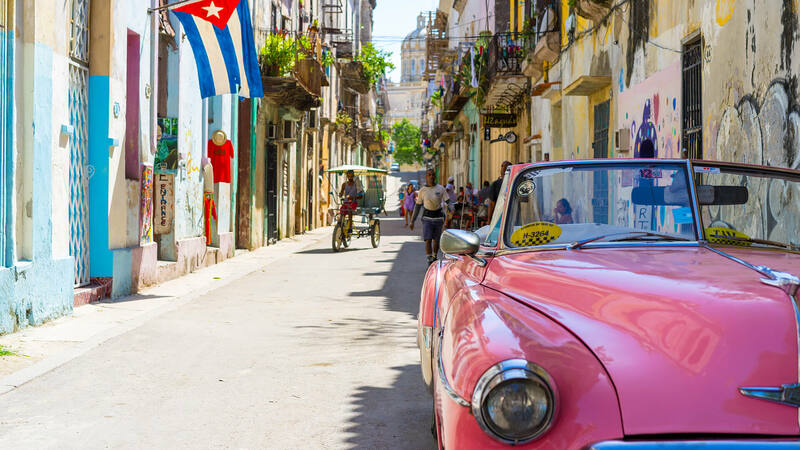 Havana has a rich culinary history, so you’ll want to spend at least a day exploring the haunts of famous residents and tasting the delicacies on offer. There are many ways to travel the streets of Havana, but the best is a classic car tour. 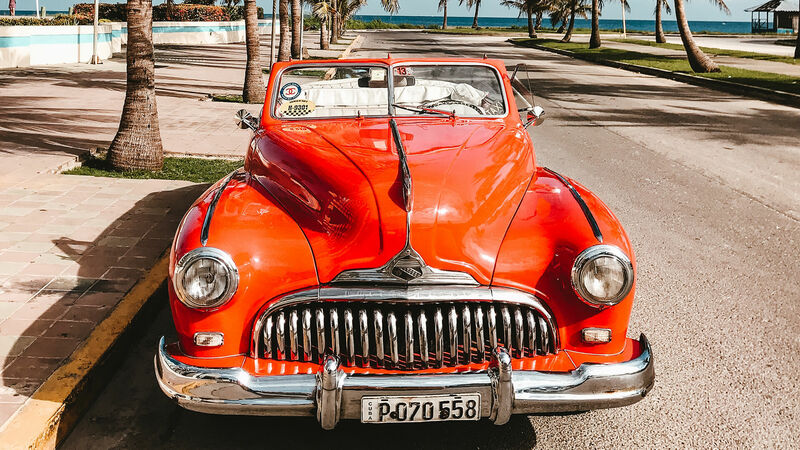 Climb into one of the vintage pastel cars that are so popular in Cuba. Many establishments don’t accept credit cards, so bring along the Swissgear 66152 Leather Billfold to carry enough cash for a day’s worth of treats. We recommend making stops at La Floridita, Ernest Hemingway’s favorite daiquiri bar; Coppelia Ice Cream Parlor, known for its unique space-age architecture; La Guardia, a classic “paladar” overlooking the ocean; and Café Madrigal, where live music and the colorful decor create a party atmosphere. 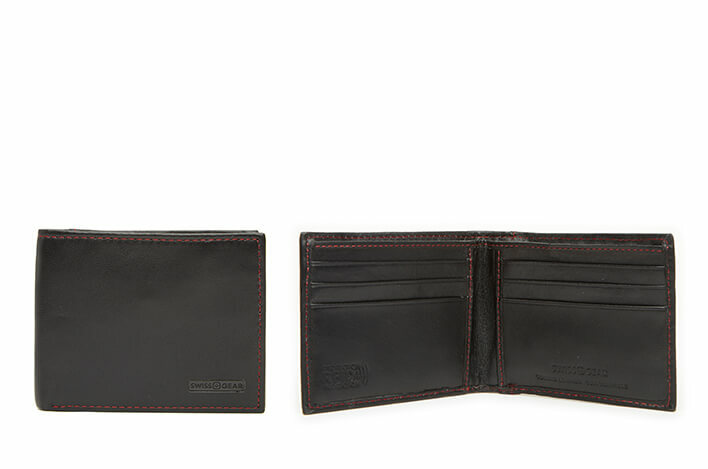 Featuring a removable ID holder with mesh window, and an RFID shield to help protect against identity theft, this sporty SWISSGEAR 66152 Leather Billfold Wallet fits right in with your active lifestyle and urban look. Before you leave the “City of Columns,” fill your Swissgear 2508 15-Inch Computer Backpack with water, snacks, any electronics you might need, and an extra sweater, then head out into Havana for a history tour. Begin with a lesson in Cuban art at the Museo Nacional de Bellas Artes. It’s got the largest collection of Cuban art in the world. Next, stop at Plaza de Armas, the city’s oldest square. Besides the white marble statue of Carlos Manuel de Céspedes and the lush greenery, the Plaza is the site of a network of secondhand bookshops where you can pick up a novel for your flight home. To fully indulge in Havana culture, stop at the Gran Teatro de la Habana. With its intricate neo-baroque architecture and gorgeous sculptural elements, the theater is a destination to delight any architecture enthusiast. 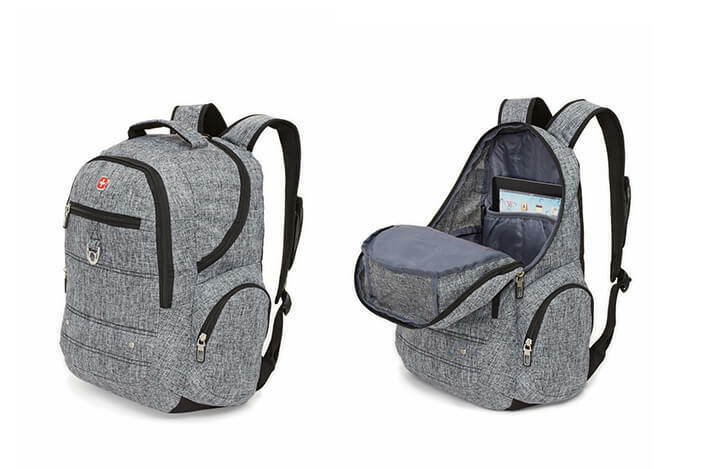 Whether you’re running errands or running to work, you need a reliable lightweight backpack that fits your active urban lifestyle. It’s also home to the Ballet Nacional de Cuba and a number of other performing arts companies. After seeing a show at the Gran Teatro, take the Tunel de la Habana to access the Castillo de San Carlos de la Cabana, an 18th-century fort that hosts a nightly cannon show complete with a cast in full regalia. Here you’ll also find the Museo de Fortificaciones y Armas and the Museo de Comandancia del Che. Finally, charter a car to the nearby town of San Francisco de Paula where you’ll find Finca Vigia, the home of Ernest Hemingway. At this charming villa, Havana’s most beloved American ex-pat wrote For Whom the Ball Tolls and The Old Man and the Sea. 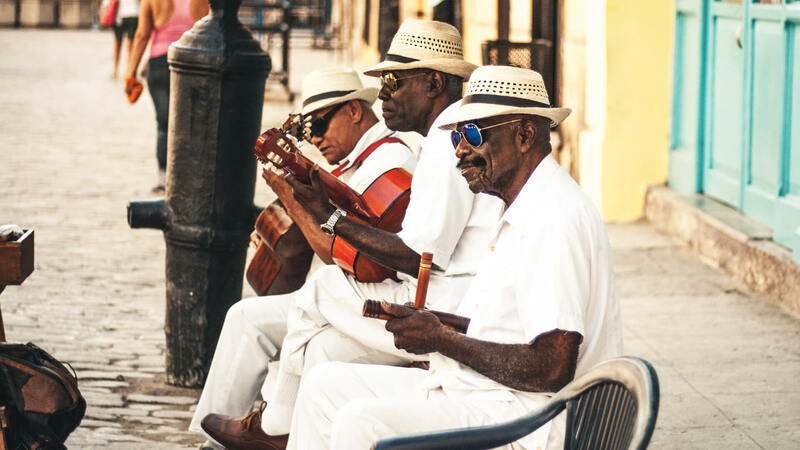 A literary city, a musical city, a crowded, vibrant, and active city, Havana is a world-class destination with enough history, culture, and passion to take hold of any visitor. There’s so much to see, eat, and do. 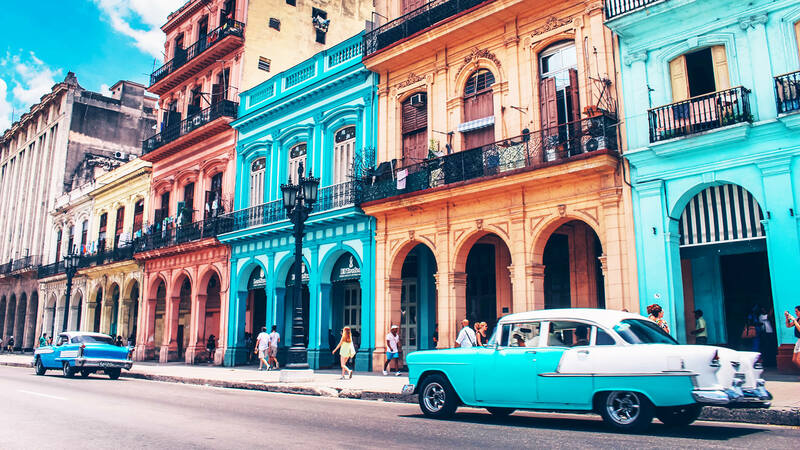 Use this guide to start your tour, but don’t forget to follow a winding road, try an enticing little bar, and get lost in Havana. 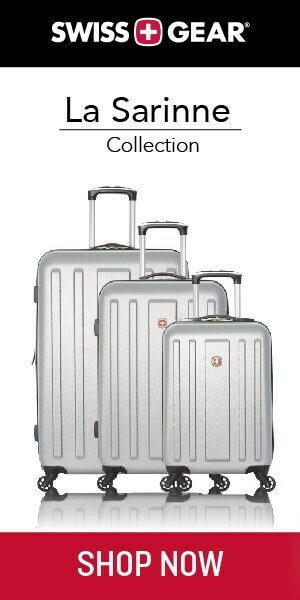 If you’re heading to Havana this summer, make sure SWISSGEAR is part of the trip. With durable, expertly-crafted backpacks, shoulder bags, totes and luggage, SWISSGEAR has what it takes to take on the wild, majestic beauty and diverse cultural playground of Havana. To shop the complete collection, visit www.swissgear.ca.